It has been over two months since President Abdel Fattah el-Sisi formally took power in Egypt following an election in which he won a huge majority, albeit on a low turnout. During his inaugural speech, Sisi highlighted the plight of the country’s farmers and rural poor, promising to develop the agricultural sector, provide more arable land and support those in desperate need. His words have raised hopes within the often-neglected rural regions that Sisi can use his strong mandate to push through major reforms to improve their lives, especially after many lent him their support during the election. Yet analysts say Sisi’s plans have so far been vague and point out it is still too early to know what effect his policies will have on agriculture. Indeed, as his government pushes ahead with plans to cut fuel and other subsidies, fears are growing that rural poverty may even increase. During his first-ever media interview in May, then presidential candidate Sisi spoke about re-mapping Egyptian governorates through a "development corridor" plan that would include major new infrastructure networks to enable farmers to use over four million new acres (1.62 million hectares) of land. By introducing scientific irrigation methods, he said, the country could double its agricultural production. “The plan is set to create new employment opportunities in agriculture,” Richard Tutwiler, director of the Research Institute for a Sustainable Environment (RISE) at Cairo’s American University, said. Egypt has 8.6m acres (3.48 million hectares) of agricultural land, according to the State Information Services, but this would increase by a little more than 40 percent under Sisi’s plans, Tutwiler said. It is clear that the need for a new approach is most acute in Upper Egypt, the vast rural region which despite its name is located in the south of the country. The area is home to around 40 percent of Egypt’s population but 70 percent of its poor, according to the World Bank. Likewise, residents suffer from among the highest rates of illiteracy, malnutrition and infant mortality, while access to safe water and sanitation are limited. Residents have long accused the Cairo-based central authorities of neglect, arguing that not enough of the central budget is allocated to the south. 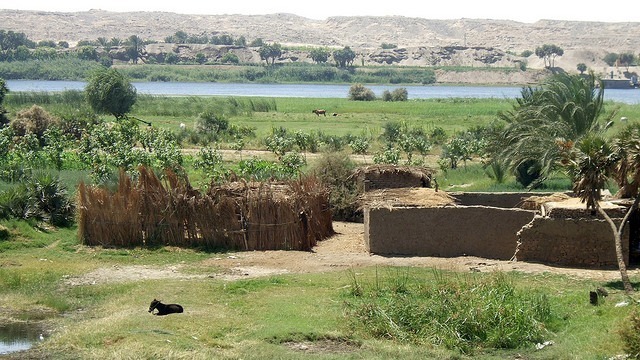 Among the top concerns for Egypt’s rural farmers are the poor water networks. Only a little more than one in 10 people in rural Upper Egypt have access to clean running water and sanitation, according to ENID. For farmers this can cause harvests to fail, while for the rural poor unclean water increases rates of gastrointestinal diseases, cancer or kidney failure. “The most pressing priority for rural people is to have an adequate sanitation infrastructure,” ENID managing director Heba Handoussa told IRIN. This concern was echoed by farmers in the area around the southern town of Qena such as Ramadan Abdel Razy. “We don’t have a pipe network that covers all areas,” he bemoaned. Among the projects proposed by ENID is a new network of large irrigation canals. Poor villagers mainly depend on traditional sewage systems in which sanitation pits are dug without a cement base, often leading to sewage leakage into the water under ground. “We have small canals, with trapping grass and weeds,” Salah Ahmad, an ENID board director, told IRIN, adding that a new network would help boost Upper Egypt’s economy. As yet, few concrete steps have been taken in this direction. Amal Ismael, head of the Agriculture Ministry Directorate in Qena, said they were waiting for confirmation of new developments from the central government. “There are many governmental regulations applying to water sanitation and framing processes but there are no specific projects for water, sanitation, agricultural activities in the ministry,” she said. Another area of focus for any government seeking to help the rural poor is food security. Egypt’s 2011 Household Income, Expenditure and Consumption Survey indicated that 74.3 percent of households in Upper Egypt suffer from chronic food insecurity. The poorest families often buy less expensive, less nutritious food leading to severe health diseases. As farmers in the region traditionally have small landholdings, they cultivate relatively few crops, and they have a low market value, according to the International Fund for Agricultural Development. A simple, though short-term, route to ameliorating this crisis would be to encourage more production through fertilizers. During his election campaign, Sisi suggested he would do just that, but the effects have yet to kick in. Currently small farmers can get a limited number of fertilizers for 70 EGP (US$10) per sack, but they cost double that on the market and plans to increase subsidies appear popular. “We need more fertilizers. The government only gives us two sacks when we should get six,” said Mouheb Al Kes Haroun, a teacher of agriculture at a technical school in El Azayza. Yet fresh reports from Egypt suggest that prices of fertilizer may actually increase, rather than decrease. Mohamed El Sayed, director of technical support at the Ministry of Local Development, said they were hoping to increase individual support to farmers to help them grow their businesses. 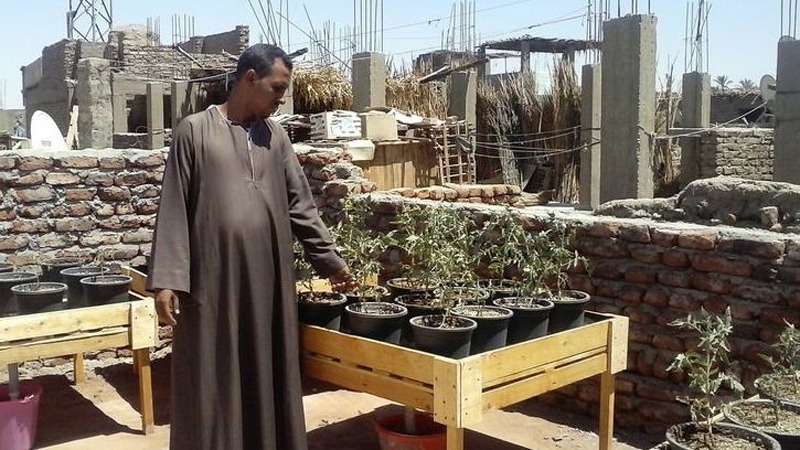 “One of the main challenges in Upper Egypt is to invest in farmers, develop their capabilities through ongoing training and sustainable agricultural development,” he said. There are other areas, too, where reforms are desperately needed. In the health sector, public services are poor and there are shortages of essential medicines in rural communities. Villagers told IRIN about people having to wait hours for urgent surgery, a shortage of beds, and poor health facilities. Roof gardening projects enable small families to grow their own vegetables. Likewise in education, institutions lack the capacity to accommodate students, with classes of 70 or more, common. High drop-out rates mean illiteracy rates remain over 30 percent in much of Upper Egypt, nearly double those in Cairo and other big cities. Kamil Abdo, director of The Association of Upper Egypt for Education and Development (AUEED), told IRIN many children completed primary school but stayed only briefly in secondary school. “Parents are interested in getting basic education for their children, but they’re less bothered [about secondary] because their kids have grown up,” he said. AUEED runs one of the 14 schools in Asyut Governorate and it has been held up as an example - with significantly higher test scores and lower dropout rates than elsewhere. Abdo said some of the techniques used were simple, and easily transferable to other schools: more individual support for children, teachers following students through the years, and smaller class sizes. Others are harder, such as tackling traditionally high female dropout rates by meeting families to emphasize the importance of education. Yet Hatem Zayed, programme officer at the Egyptian Centre for Economic and Social Rights, said he was concerned that in many areas the solutions proposed so far have been vague. He added that plans to cut energy and food subsidies, which Sisi has already begun to push ahead with, would further impoverish millions. The World Food Programme estimated last year that removing high food subsidies could push the national poverty rate up by nearly 10 percent. “Sisi mentioned that food security would be a priority. However, the policies [he has introduced] don’t show that,” Zayed told IRIN. And while Sisi may have shown a genuine commitment for reform, both Zayed and Tutwiler warned that he appeared to have inherited the top-down approach that characterized previous Egyptian governments under deposed dictator Hosni Mubarak. “One mistake repeated by past governments has been to focus on macro-scale programmes without a thorough understanding of the local needs of the county’s rural communities,” Zayer said. Tutwiler identified local participation development as one area of interest around issues such as agriculture, water and irrigation. The idea entails people taking more responsibility in managing their own resources collectively through community-based local associations. The rural poor, many of whom had their hopes raised by Sisi’s election, will continue to wait to see if the new president’s promises prove to be empty. Les besoins en matière de soins de santé sont en train de changer dans le monde arabe.